Depressed mood most of the day, markedly diminished interest or pleasure. Decrease or increase in appetite. If someone displays two of the symptoms above for two months straight, they have dysthymic disorder. This is a chronic low-level depression—not a major affective disorder. However, people with a dysthymic disorder may benefit from anti-depressant medication. Increase in activity or physical restlessness. Jumping from one topic to another very rapidly (flight of ideas or loose associations). Inflated self-esteem, (delusions of grandeur). Decreased need for sleep, (can stay up for 3-4 nights cleaning etc.). Excessive involvement in activities with a high potential for painful consequences—like buying sprees, foolish business investments, or sexual indiscretions, etc. These individuals may even become psychotic during a manic episode, losing touch with reality, hallucinating, or experiencing delusions. Psychologists have made large ground in medicating those with clinical depression of this type. Argue the truth to yourself. We see this practice in the life of the psalmist. As he finds himself in the midst of depression and despair, he talks to himself: “Why are you in despair, O my soul? And why have you become disturbed within me? Hope in God, for I shall again praise Him for the help of His presence” (Ps. 42:5). In fact, he repeats this question to himself in the same psalm (v.11), and in the next psalm (Ps. 43:5). Thus an ongoing process is implied, whereby the believer needs to recount truth to himself over and over. Express faith in God’s truth. Paul writes, “May the God of hope fill you with all joy and peace in believing, so that you will abound in hope by the power of the Holy Spirit” (Rom. 15:13). It’s God’s role to fill us with hope, joy, and peace. Our role is to exercise trust in his promises. The power of the Holy Spirit enters us when we choose to exercise faith. Address the thought-life and self-talk of the counselee. Backus states that we need to correct our self-talk in regards to (1) ourselves, (2) our situation, and (3) our future prospects. Take an active role if the person is apathetic. Depression can result in morbid laziness and apathy. When a person is in such a state, we may need to provide emotional support, admonition, and other means of showing the urgency of taking steps to change. Urge them to take small steps and move into more complex steps. Teach the discipline of giving thanks. The depressed need to learn to give thanks for all of the gifts of God (Phil. 4:6-8). The concept of rejoicing is a verb—not a noun. We can choose to rejoice—even if we don’t have the feelings of joy. Choose to do the will of God. On his final night on Earth, Jesus was “deeply grieved, to the point of death” (Mt. 26:38). And yet in prayer, he chose to do God’s will (v.42), even though he was deathly afraid, abandoned, and grieved. Teach them to have patience in waiting for change. Before taking drastic life changes, encourage them to “wait a while.” The depressive falsely believes that their lives will always be miserable and their circumstances will always look grim. Backus compares this to a person being convinced that “heads” will always turn up if a coin is flipped over and over. The truth is that sometimes circumstances will be poor, and other times they will be favorable. The depressive needs to wait to develop patience, knowing that they will not always be in such a poor state of mind. Get physical rest. Sometimes, we fall into depression in the midst of God using us powerfully. After battling the false prophets of Baal, the prophet Elijah was adrenalized and on a spiritual high. He outran Ahab’s chariots to Jezreel (1 Kin. 18:46), and then ran for his life to Beersheba (1 Kin. 19:3). He asked God to take his life (v.4), and then collapsed out of exhaustion (v.5). Beck, Aaron T. Depression; Causes and Treatment. Philadelphia: U of Pennsylvania, 1972. Burns, David D. The Feeling Good Handbook. New York, NY, U.S.A.: Plume, 1999. O’Connor, Richard. Active Treatment of Depression. New York: Norton, 2001. O’Connor, Richard. 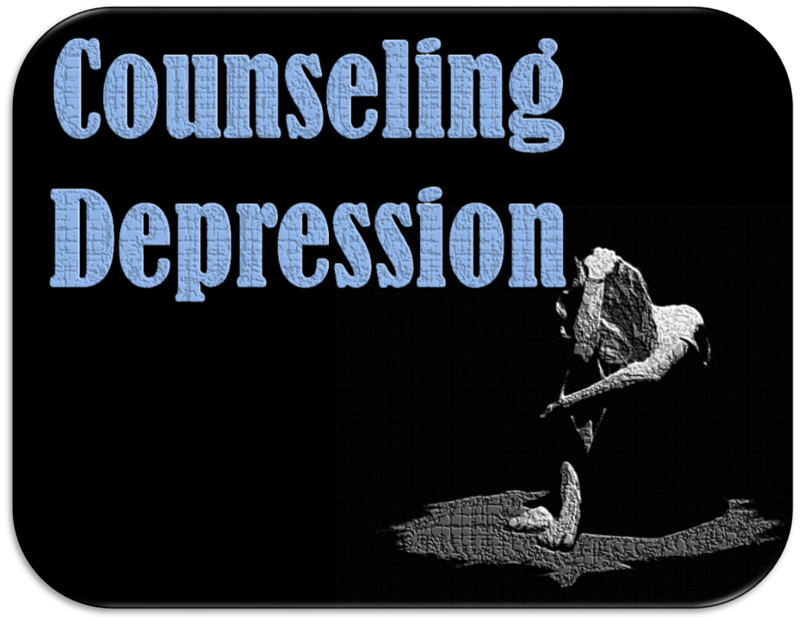 Undoing Depression: What Therapy Doesn’t Teach You and Medication Can’t Give You. Boston: Little, Brown, 1997. Welch, Edward T. Depression: Looking up from the Stubborn Darkness. Greensboro, NC: New Growth, 2011. Collins, Gary. Christian Counseling: A Comprehensive Guide (3rd ed.). Nashville, TN: Thomas Nelson Publishers. 2006. 121. Collins, Gary. Christian Counseling: A Comprehensive Guide (3rd ed.). Nashville, TN: Thomas Nelson Publishers. 2006. 127. Backus, William. Chapian, Marie. Telling Yourself the Truth. Minneapolis, MN: Baker Publishing Group. 2000. 39. Collins, Gary. Christian Counseling: A Comprehensive Guide (3rd ed.). Nashville, TN: Thomas Nelson Publishers. 2006. 123. Collins, Gary. Christian Counseling: A Comprehensive Guide (3rd ed.). Nashville, TN: Thomas Nelson Publishers. 2006. 125. Crabb, Larry. Understanding People: Deep Longings for Relationship. Grand Rapids, MI: Zondervan, 1987. 125.